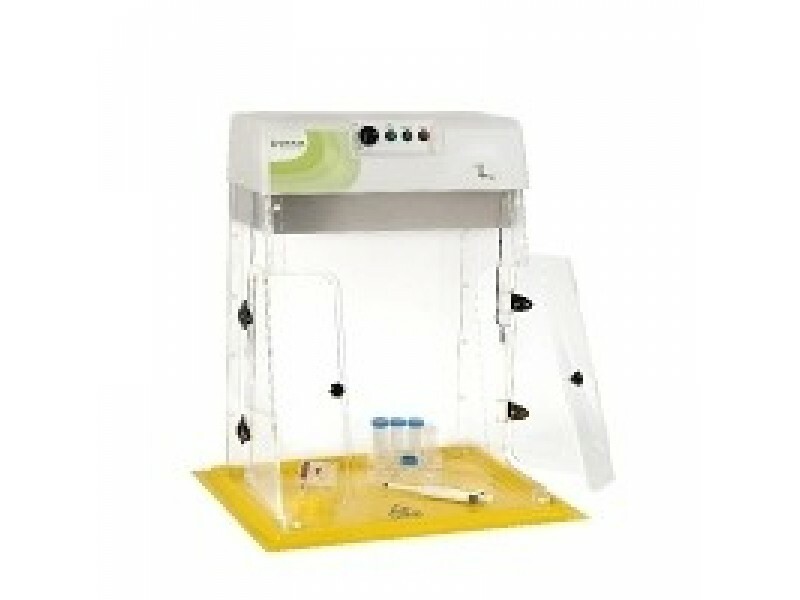 GLE-UVSC UV Sterilisation Cabinet - Raya Scientific Co. The GLE-UVSC UV sterilisation cabinetprovides effective decontamination of reagents and equipment before carrying out sensitive PCR reactions, particularly when amplifying DNA sequences which are either in limited supply or of low copy number. Four timer-controlled 15-Watt UV-C bulbs enable the user to control the exposure time and dose of high energy UV-C irradiation required to denature nucleic acids that cause unwanted background contamination, while a timer override switch allows the UV source to remain on indefinitely if preferred. Safety interlocks switch-off the UV-C bulbs automatically when the cabinet side doors are opened, preventing accidental exposure to the UV source. The cabinet's construction from UV-C-impermeable 10mm acrylic also serves as an effective barrier against radioactive isotopes, allowing the user to work in complete safety with high energy ß-emitters such as 32P. A single white light bulb illuminates the work area when the cabinet is in use.